A suburban Maryland high school is permanently disbanding its varsity football program due to a lack of players as well as concerns over player safety, reports the Washington Post. The player safety concerns seem not to be tied directly to the brutality of football as a sport, but rather over the increased risk of injury taken on by players on a team with so few participants. Centennial has not disbanded the junior varsity team, and the school is allowing juniors from their varsity team to play with the JV squad going forward. This leaves those very few seniors from the varsity team without a chance to play their final year of high school football, and means that organized football at Centennial High School ends after your junior season. “When I heard about it, I just sat at home for hours and cried,” senior Seif Mira said. He played wide receiver and defensive back for the Eagles, who went 1-9 last year after two straight winless seasons. The Sun described the move as “unprecedented” in Howard County’s history of high school football. Participation had apparently been declining for at least four years at Centennial, during which the Eagles had become one of the very worst teams in the county, winning just one varsity game in three seasons headed into 2017. The decline in participation at Centennial High School tracks broadly with an overall trend in high school athletics: the National Federation of High Schools says participation in 11-player high school football dropped by nearly 26,000 students in their 2016-2017 survey. 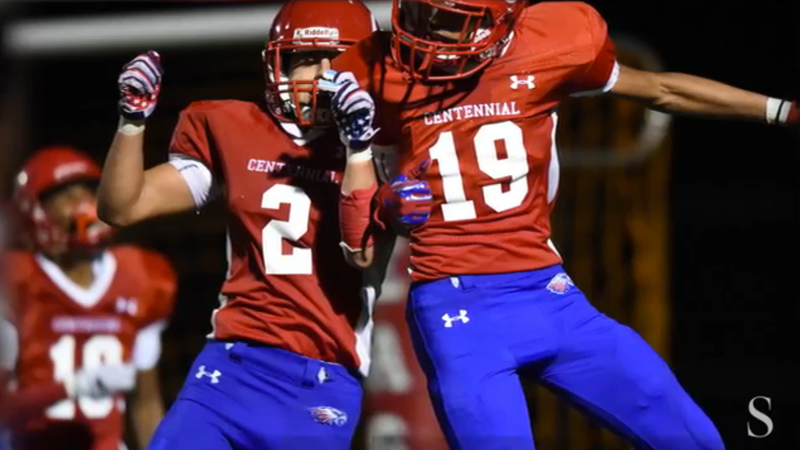 Centennial’s level of participation—in the low 20s for the last couple seasons—means a decline on par with the average of about two per football program nationwide left them with perilously few students available to suit up. This is at least the second disbanding of a high school football team this month, after Novato High School in Marin County, California disbanded at the beginning of August after fewer than nine players showed up for summer practices. So far, disbanding does not come close to outpacing the expansion of the sport among high schools: the NFHS survey says 11-player football was added by 52 schools last year. But that expansion can’t mask an obvious long-term decline in high school-level participation in 11-player football—1,057,407 players is the lowest participation noted in an NFHS survey since the 2004-2005 season, and marks a period of decline in eight of nine seasons since 2008-2009, when 1,113,062 students played. The 26,000 player drop from last season to this season is the largest single-season drop in at least 20 years. And for anyone leaping towards the whole “DURR KIDS THESE DAYS ARE PLAYING THE MINECRAFT AND DON’T GO FOR THE SPORTS TEAMS NO MORE” argument, participation in high school sports overall is healthier than ever: overall participation increased for the 28th consecutive year. Football is still by far the most popular high school sport in America, but its steady, year-by-year decline makes it a definite outlier. Disbanding of varsity teams is a small but real signal of its decreasing popularity among players and parents.